When I purchased my Linksys BEFSX41 I had two spare wireless routers a D-Link WBR-1310 and a WBR-2310 respectively. What to do? Turn them into wireless AP's (access points) of course! Increase your wireless coverage, look cool! First thing's first, set up DHCP on your main router. For me it's the BEFSX41. Set your DHCP range, for example 192.168.0.150-199 giving you some room for wireless devices. Now login to your router (most likely 192.168.x.1) which is converting to an AP, the WBR-1310/2310 for me. Turn DHCP off and set the router IP to below or above the DHCP range. So for example, 192.168.0.149, 192.168.0.200 etc. Once you have configured your AP, plug the ethernet cable into one of the LAN ports, not the WAN port. See below. Check the LAN connection then check the AP wireless connection. This method can work with more access points as well (in my case, two AP's). What now? Well, if you have two [802.11b/g] AP's set them to non-overlapping channels. Change them to either channels 1, 6 or 11. For more info see here. Thanks Easton for a well documented tutorial that WORKS! Thanks Easton for an excellent post that work!!! I followed Easton's instructions and turned my D-link DIR-655 wireless router into a pure Wireless Access Point (WAP) that is connected to DGL-4100 gamer lounge gigabit wired router. I did this in one pass under 5 minutes by connecting my laptop to a LAN (not the WAN) port on the DIR-655 and calling up 182.168.0.1 using Firefox. a) if the DIR-655 wireless parameters have has been set (SSID name, password, WEP/WAP/WAP-2 security mode), leave them alone so you don't have to do anything with the desktops or laptops later. This way, after the required reboot of the soon-to-be-a-WAP-router, you just disconnect it from your laptop, plug it in LAN to LAN to the main router, and you all your wireless desktops/laptops will work as before without any need to reconfigure their wireless network settings. My WBR-1310 doesn't process wireless DHCP after a few days. I bought a Belkin unit on black Friday and replaced the D-Link and followed your instructions on turning the D-Link into an access point. It works great, but after a few hours the D-Link doesn't see to pass DHCP and I have to reboot it. What version are the units you're using? My WBR-1310 hardware's version is D1 with firmware verison 4.00 by default, but I have 4.13 running. Could there be a conflict of IP's? I have tried many different IP setups and am having the same issue with my D-link WBR-1310 not passing DHCP through after a day. I have a main router DIR-655 and I am trying to add my old router WBR-2310 as a wireless extension. I have dhcp enabled on my dir-655 with a range of 192.168.0.100 to 192.168.0.199. I understand that I am supposed to change the ip address on the 2nd router (wbr-2310) to something outside of the dhcp range, so I'm trying to assign it 192.168.0.200. As well, I need to turn dhcp off on this 2nd router. 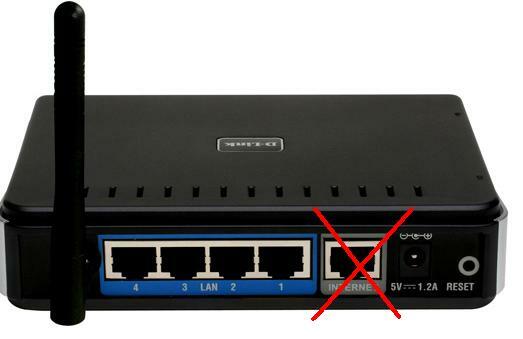 The problem I have is that I don't know how to access the wbr-2310 router. I have tried connecting it directly to my laptop using Lan Port #1 and then going to 192.168.0.1 on my laptop's browser. The login page displays for the right router (wbr-2310), but I can't get signed in and I don't get any error message. How can I access my 2nd router to change these settings? Thank you for your help. Hey guys I have a problem. Like you I have a D-Link DIR655 I want to turn into an ap. My other router is a 10/100/1000 mbps Leviton product. I did all the things required. When the browser refreshed, it went to the leviton setup page, which means it worked. But then, 5 seconds after, the connection goes to "limited or no connectivity" and I cannot access the leviton router or the internet anymore. Any thoughts? Edit: I set up my DIR-655 as a AP the other day. I'd suggest reading this tutorial. Connected the WBR-1310 to NETGEAR R6300. Was bored, had a WBR-1310 sitting around and came across this "How-To" so I decided to give it a go... one of the best guides I've ever stumbled on - took about 5 min. Now I have to figure out how to connect the 1310 to the 6300 wirelessly so I can set it up in the basement and hook up the TV and old XBOX360. If you're bored a "How-To" would be much appreciated by more than just me I'm sure. It should work if the WBR-1310 is the base router and the R6300 is set up as a bridge. Hi thanks, this post is still very usefull I had a DLink DIR610 and with the simple steps I was able to have it as an access point. I can't believe it has been 5 years already! I'm glad you found it useful. I’m now trying this out and getting a lesson in the proses of internet and router terminology, as for all you have posted I found very helpful. Now all I’m trying to solve is why it slows the internet down and also causes interference with nearby electronics trying to stay connected to the original router. So I have a question (which I probably know someone has asked). Can I have the D-Link wbr1310 act as a wap that the devices won’t get inference from? As in one whole VPN? If that’s the term, for my home? So when I walk around they just automatically connects or something? (I call it “tiny” compared to the Hitron router provided by Shaw cable for our internet. )I have the routers directly hooked into each other via Ethernet cable and they are plugged into the number 1 lan port. I believe I set everything in order for the correct dns, subnet mask, etc. But I dunno. Network gets real sluggish when I hook it up. And use it. Is this normal? HALP! Lol thanks.